The Road to Victory Veterans Museum presents fun for the whole family. 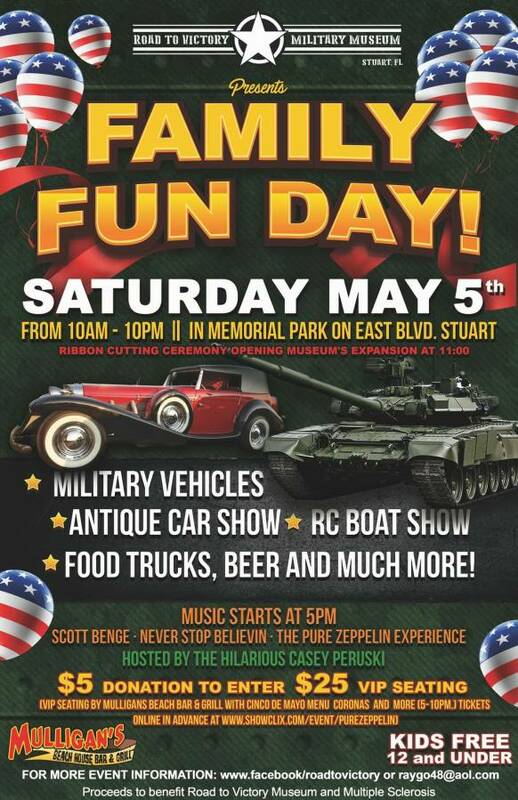 Food Trucks all day and into the night with an Antique Car Show, Military Vehicles and Displays, Weapons Demonstrations, RC Boat Shows and Demonstrations. Tickets $5 – General Admission Lawn Seats no coolers Kids 12 and under free. Tickets $25 VIP EXPERIENCE includes Reserved Seating, Taco Bar, Coronas, and Margaritas.